Hey, fellow comic book readers. I love comics and most of all I love collecting comics. A majority of the time I hear people wanting to begin their collection, but not knowing where to start. My advice would be either start with characters you like or just collect the stories you like. That's why I've decided to review new books that caught my attention. Hopefully, you all will love them as much as I have. Enjoy! 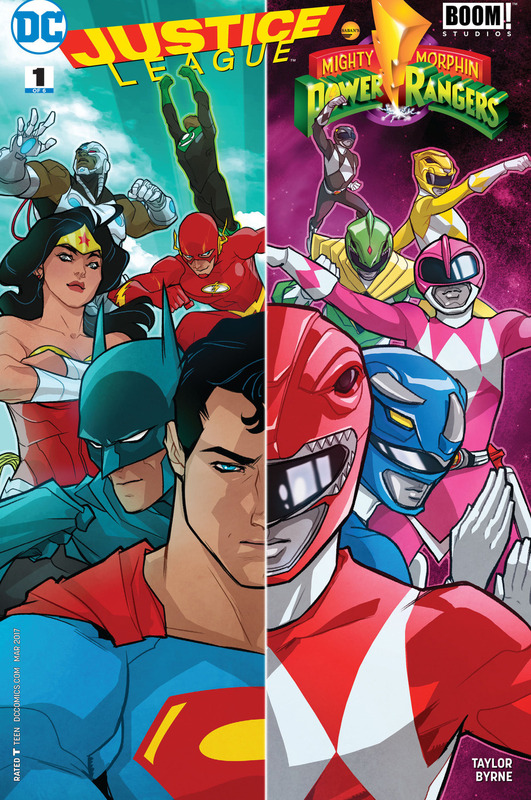 This is the first issue of the Justice League and Power Rangers crossover. 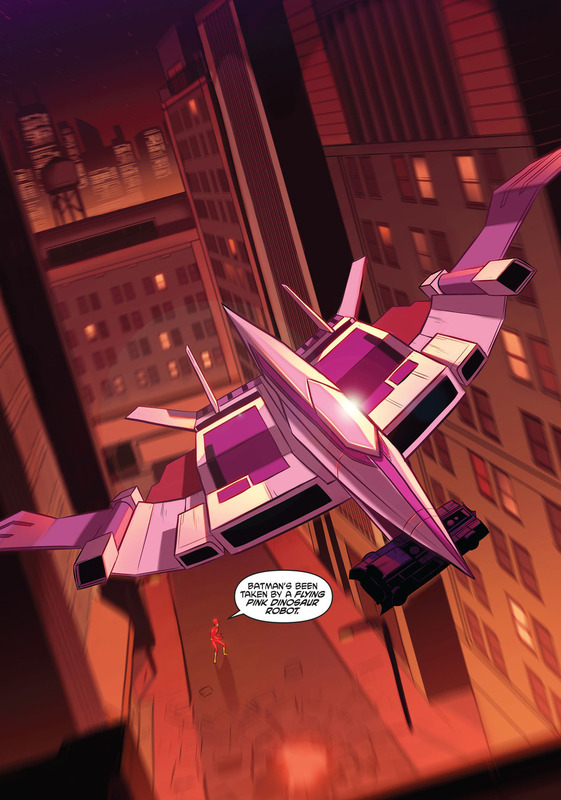 The issue opens with the destruction of Angel Grove. Zack collapses to his knees blaming himself for reducing the town to a large crater. Superman flies toward Zack to let him know this wasn't his fault. The story cuts to 36 hours earlier. Zordon calls all the Rangers to the headquarters, Alpha Five has gone missing. Zordon asks the Rangers to scout the area to find him. The Rangers split up and search the area. Zack finds Alpha damaged and teleports him back to the headquarters. Alpha explodes throwing Zack back injuring him. Lord Zed teleports into the Ranger's base and attacks Zack. Zack fights off the putties and Zed. In a desperate attempt to get rid of Zed, Zack uses his damaged teleporter to get Zed out of the headquarters. Zack teleports himself to Gotham City and goes head to head with Batman. Batman quickly subdues Zack and tells him to stop fighting and relax. Shortly after the rest of the Rangers appear in Gotham City. 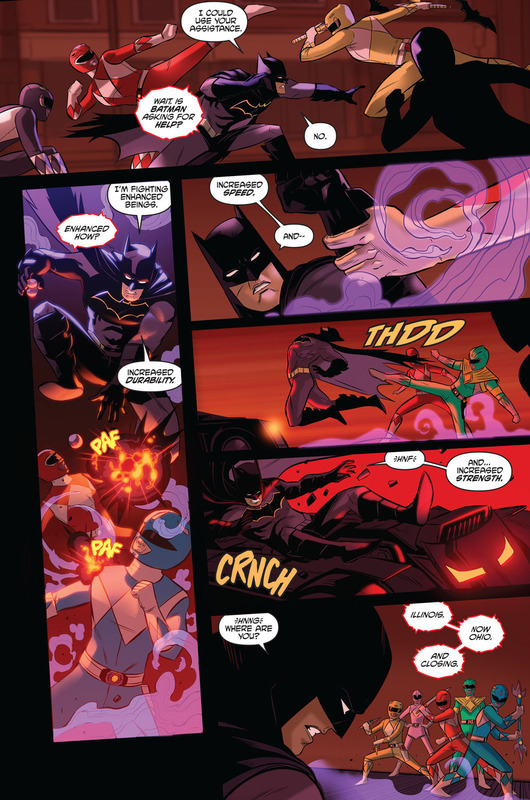 All the Rangers combined are more than a match for Batman, and he does something uncharacteristic. Batman calls for help. In no time the Flash appears. That's when Kimberly calls her pterodactyl zord to come help. 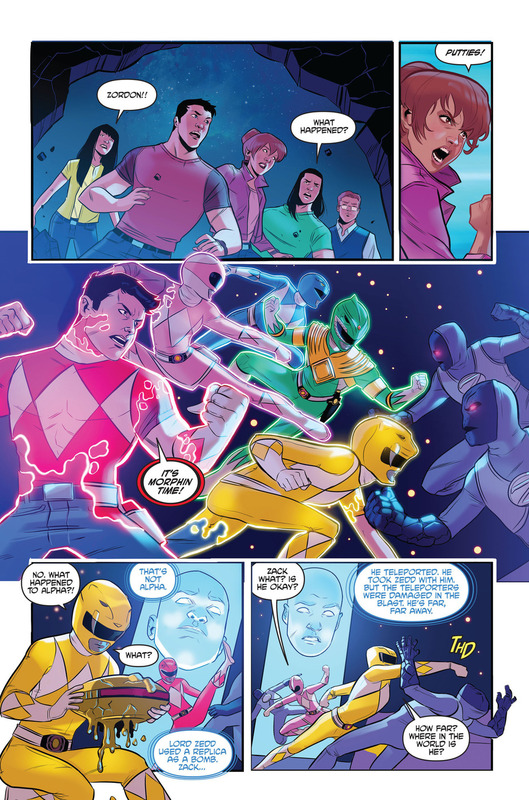 I loved this issue it featured two of my favorite things Power Rangers and comic book heroes.I really can't wait to see how the fight between the Justice League and Power Rangers will turn out. Stay Tuned for further issues in this series. Disclosure: All images are owned by DC Comics and not of the author.